Are you currently locked out of your house or car? Have you broken the key in the lock or ignition? Have you lost your only car key and don"t know what to do? Locksmiths Dublin can resolve these issue quickly and professionally. 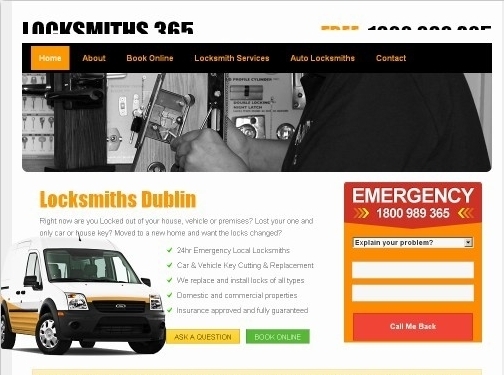 The Locksmiths Dublin are the most comprehensive 24 hour emergency locksmiths in Dublin and we are here to help. We also provide a Anti Snap Lock Fitting service in Dublin & Cork. Irish (Dublin) based company - established over 10 years ago - providing locksmith services. Website includes details of services provided, areas covered, associations, full company contact details.